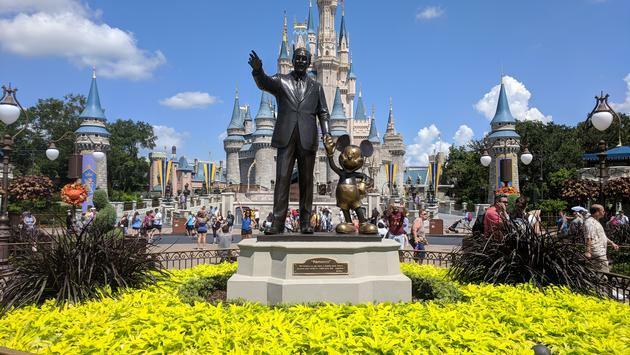 Spreading the ashes of a deceased loved one is a common occurrence, but a new report suggests the Disney World and Disneyland theme parks have become a final resting place more often than people would imagine. According to the Wall Street Journal, custodial workers at the popular parks revealed they find ashes of deceased people on the property around once a month and even have a code when the remains are found, dubbed a HEPA cleanup due to the vacuum cleaner used in the process. An anonymous source told the WSJ that certain rides and attractions get a higher number of ashes being spread, including The Haunted Mansion, Pirates of the Caribbean, the Dumbo ride and It’s a Small World. Ashes are also spread in flower beds and landscaping around Disney World and Disneyland. “The Haunted Mansion probably has so much human ashes in it that it’s not even funny,” an unidentified Disneyland custodian told the WSJ. A Disney spokesperson said spreading the ashes of loved ones at any of the company’s theme parks is against the law, which the Anaheim Police Department confirmed. Authorities revealed the crime is a misdemeanor and officers have been called to Disneyland due to human ashes in the past. When human ashes are discovered on an attraction, Disney workers shut down the ride due to “technical difficulties” and turn people away until custodians can clean up the ashes with the proper vacuums.